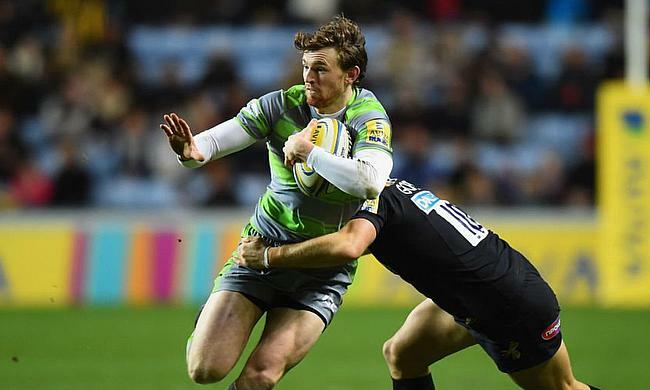 Full-back Simon Hammersley has pledged his immediate future to Newcastle Falcons after signing a two-year deal with the Gallagher Premiership club. Hammersley started playing the game for Hull Ionians in National League Two North and was part of the Durham University that lifted the BUCS title at Twickenham. His association with the Falcons began in 2013 when he represented them in the Premiership Rugby 7s where he impressed and went on to make 96 appearances for the first-team since then including 69 that came in the Premiership. The 25-year-old was also part of the Falcons squad that went on to reach the semi-final of the Premiership last season. “It was an easy decision on my part to extend my contract, I love it up here and I’m happy to have it all sorted," said Hammersley. “It’s a great environment to be in as a player, I enjoy coming in every day for training and the supporters really get behind us during the games. “There is a huge focus on improving our league position during the final 10 games of the Gallagher Premiership season, and also the opportunity to try and push for some silverware in the Premiership Rugby Cup. Meanwhile, Newcastle Falcons director of rugby Dean Richards had high praise for Hammersley and is delighted that the fullback has extended his stay at the club. “Simon is a very consistent performer who offers a lot to the side, so it’s great news for us that we have been able to agree this contract extension.